A monthly publication appealing to both fruit and vegetable producers and associated agribusinesses. It provides the latest news, technical information for everyone in the industry. 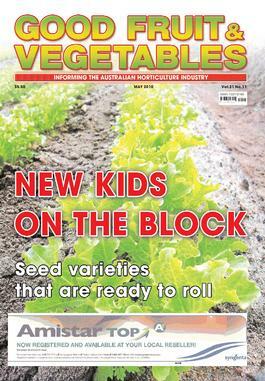 Features include in-depth studies, interviews with horticultural personalities, information on new and interesting products and columns from national organisations and statutory bodies.PLEASE NOTE: All subscription cancellations for this title will incur a $20 Administration Fee for the processing of refunds.